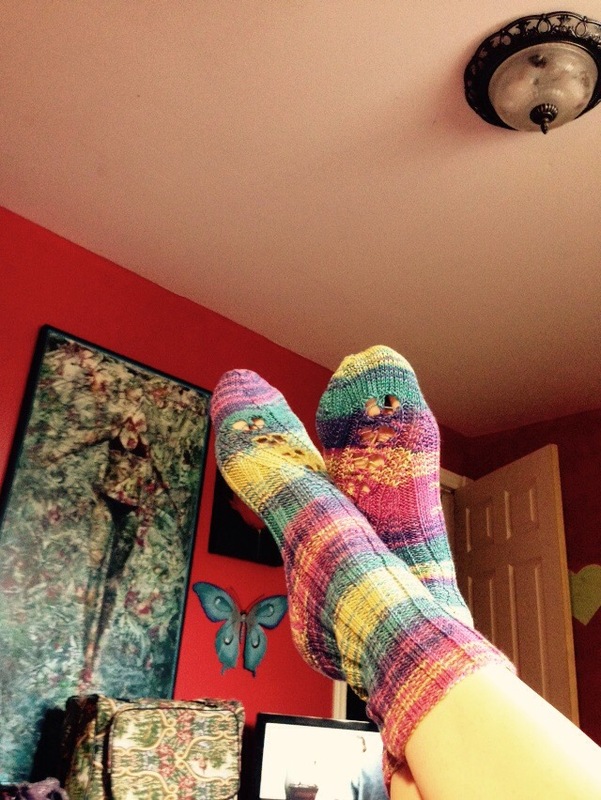 I finished these lacy Co-Ba-Si socks. They feel nice on the foot. A summer weight with a cotton/bamboo/silk blend. So clever! You’re inspiring me to take something like this up. Although I don’t have much need for socks etc. here in Bangkok… Christmas gifts maybe?